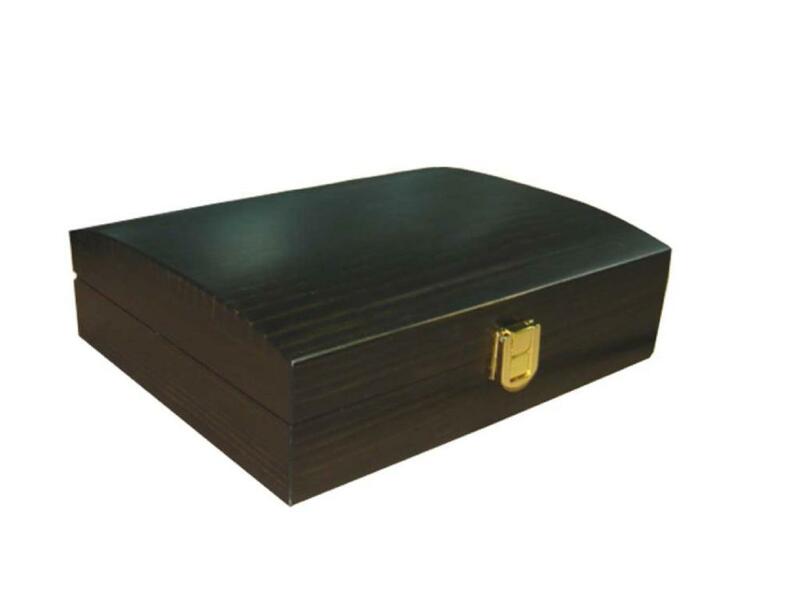 This keepsake wooden box size is 215x175x63mm. 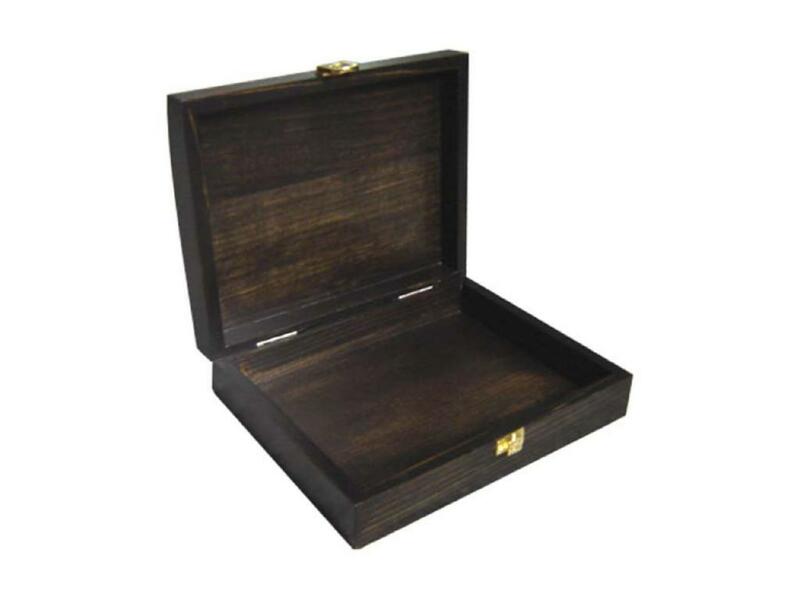 It is a beautiful keepsake box finished in a dark stain wiped with cloth. The beautiful natural wood grain is easily visible.